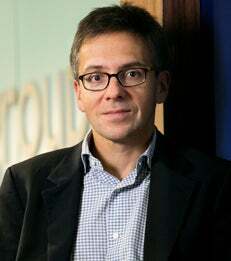 New York University has named Ian Bremmer – political scientist, expert on foreign policy and political risk, and president of Eurasia Group – as a Global Research Professor. In this role, Bremmer will teach at the NYU Stern School of Business and will organize public events, including lectures and seminars, at the School of Business and at the NYU School of Continuing and Professional Studies’ (NYU-SCPS) Center for Global Affairs. Dennis Di Lorenzo, dean of NYU-SCPS, added, “I am delighted that Ian Bremmer will participate, each year, in a major event for the Center for Global Affairs. His depth of knowledge and his ability to understand and to explain complex issues regarding political risk analysis will provide for a thoughtful and compelling exchange of ideas for our students and for the public at large."